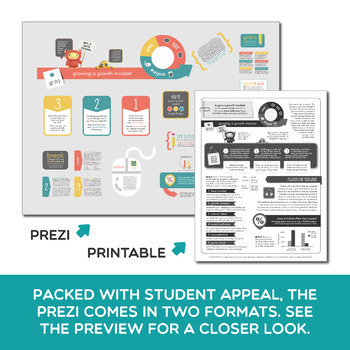 Help students develop a growth mindset and discover their brain's unlimited learning potential! 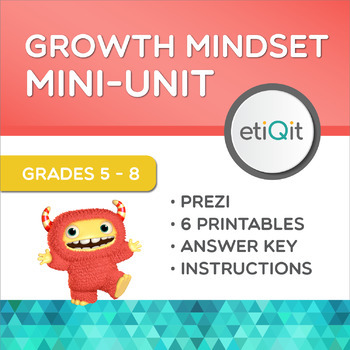 In this mini-unit (called a Qit), students will be introduced to the concept of brain neuroplasticity, the science behind how practice, hard work, and even failure can literally help the human brain grow larger, stronger, and faster. The fixed mindset myth (that intelligence and abilities are limited by genetics and the natural talent one is born with) is debunked and both fixed and growth mindset attitudes are explored. Students will learn specific strategies for building a growth mindset including the power of yet, positive self-talk, challenging their brains, embracing failure and mistakes, asking for help, and more. 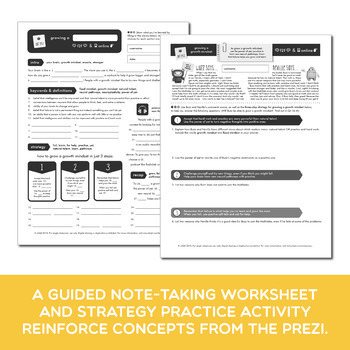 If your students struggle with negative perceptions about their learning abilities, tend to give up easily, or are frequently frustrated by mistakes or challenging work, this resource can help! 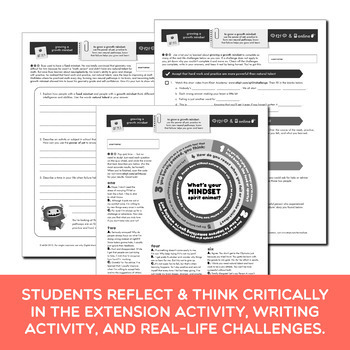 Extension Activity: This interactive, magazine-style quiz will keep students engaged as they answer multiple-choice questions about their mindset. Once finished, students can scan a QR Code to access the results of their quiz as well as encouragement and advice for how to keep working towards a growth mindset.